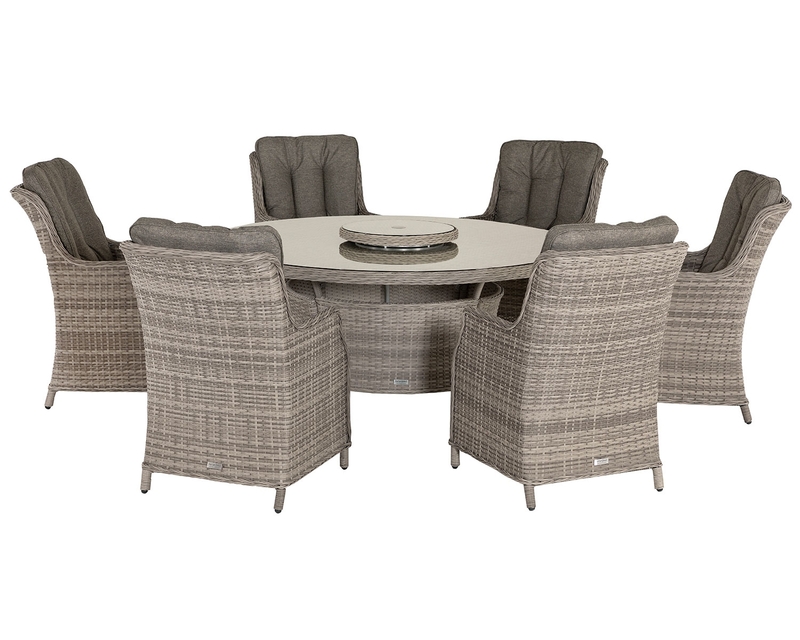 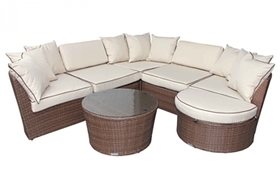 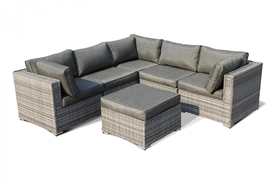 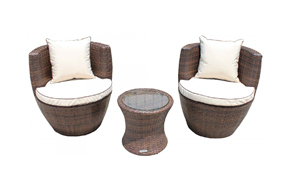 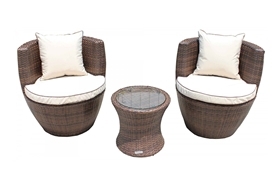 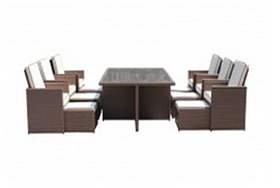 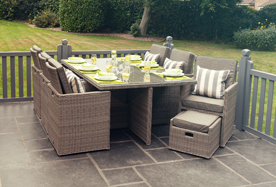 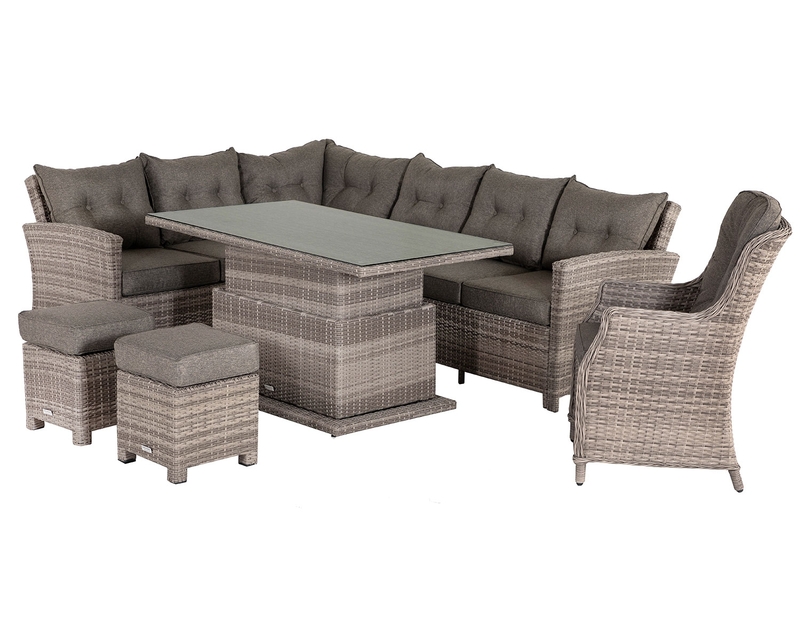 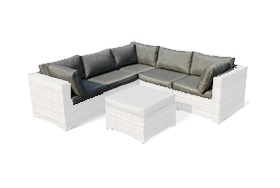 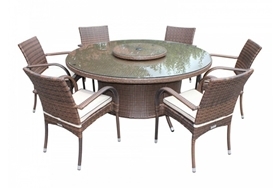 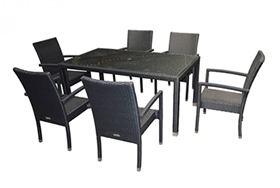 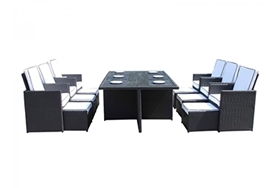 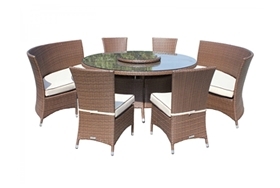 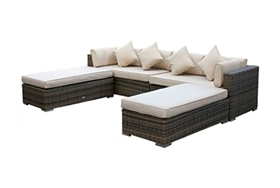 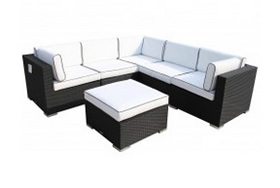 This large corner set can seat six people comfortably while making your garden, conservatory or garden room look stylish and sophisticated. 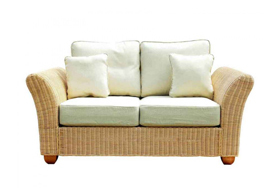 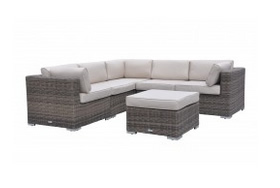 Designed to high specifications by the talented in house design team, the Florida sofa set is durable, robust and yet effortlessly elegant for plenty of rustic appeal whether used indoors or outdoors, and thanks to its attractive chocolate coloured base and cream coloured cushions it will perfectly complement your style. 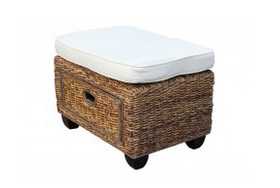 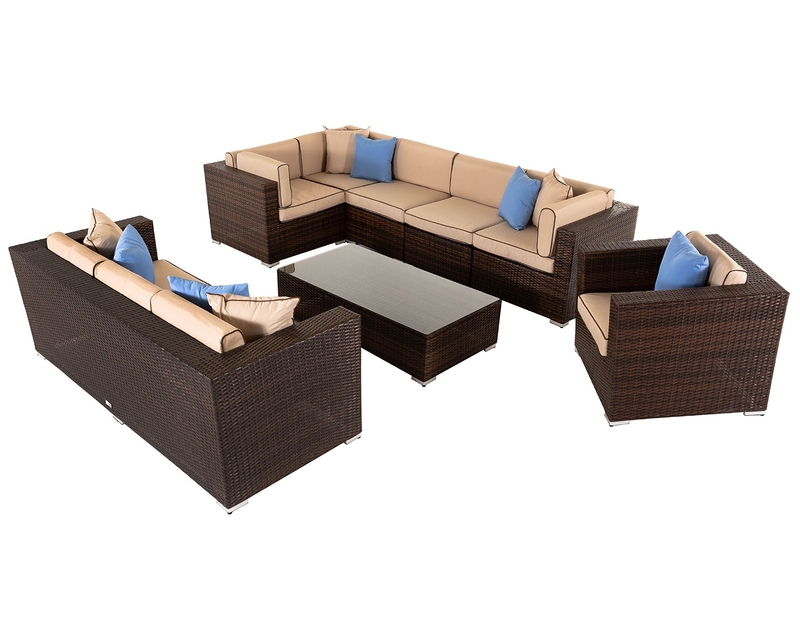 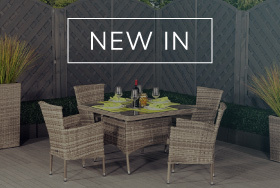 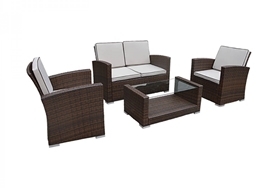 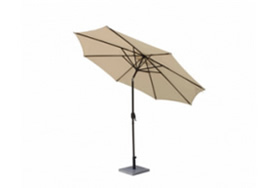 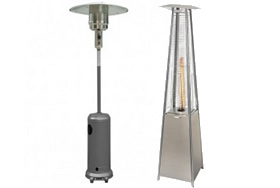 This corner set looks just as good when used inside the home as when used on the patio, and thanks to its weather resistant design, you won't need to worry about it being damaged by poor weather or by strong sunlight. 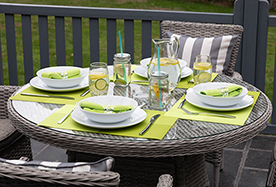 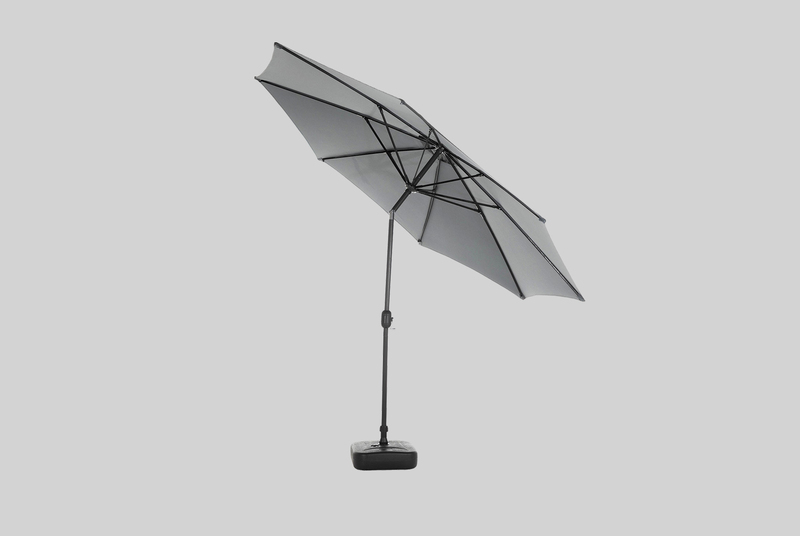 Designed to be fade resistant in UV light, it will stay looking great during the hottest summer, and thanks to the inclusive rain covers, you can be sure that even during the winter it will stay safe and well protected. 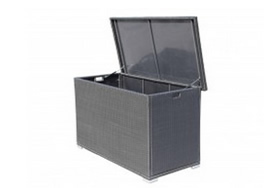 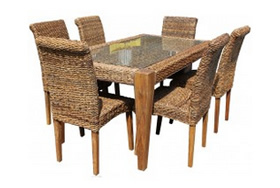 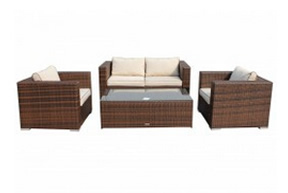 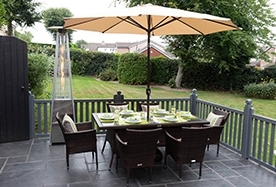 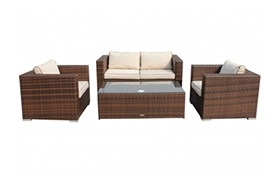 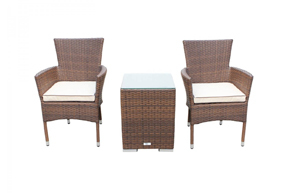 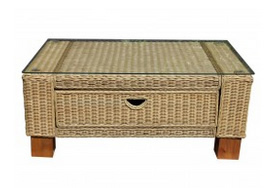 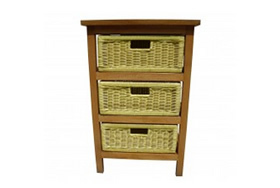 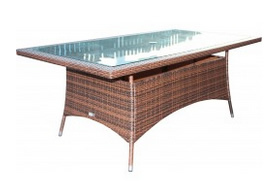 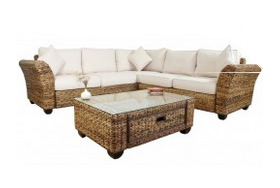 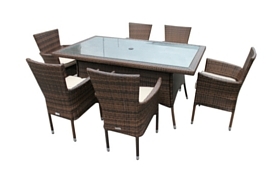 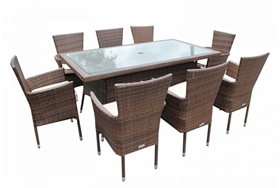 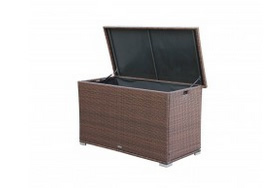 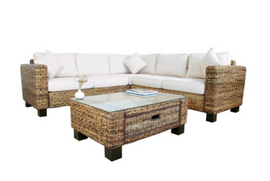 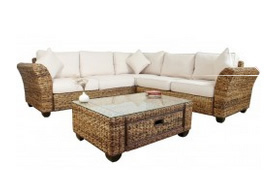 The Florida corner set is certainly a low maintenance solution for your home or garden thanks to its strong and resilient synthetic rattan construction over a powder coated frame which resists rust. 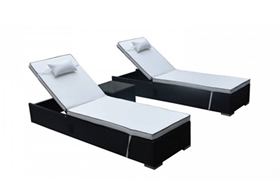 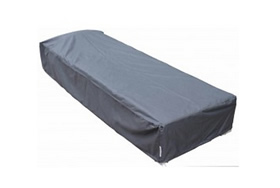 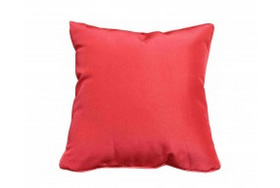 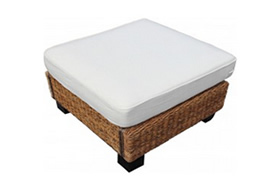 The cushion covers are even removable and can be washed in the machine for greater convenience, and since the set is delivered direct to your home fully assembled, you won't have to wait before relaxing in complete comfort. 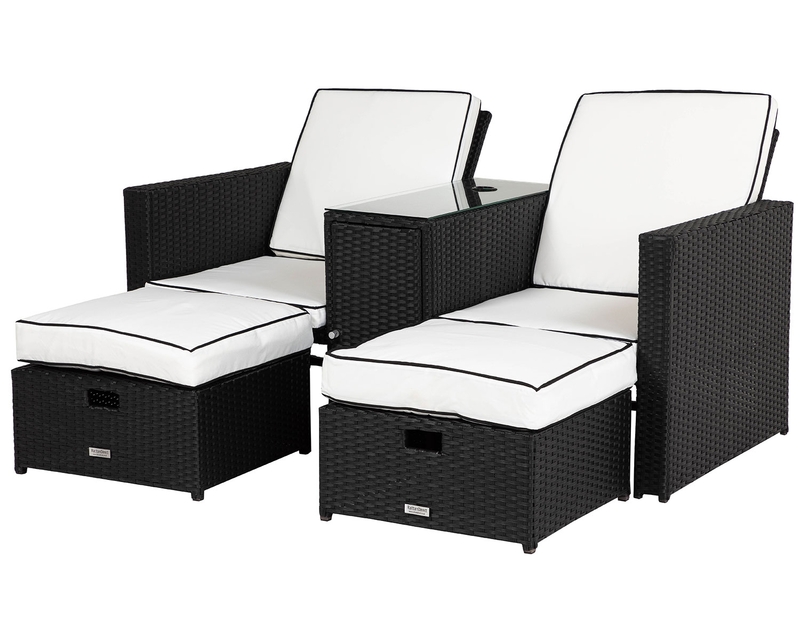 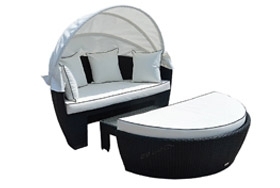 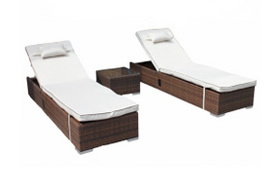 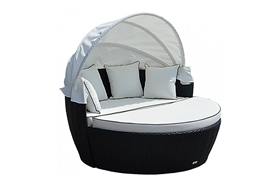 Dine, relax and sunbathe in style with the black and vanilla Florida set.